Sega have announced a few more drivers headed to the upcoming Team Sonic Racing. The reveal was made as a part of the Sonic Birthday 2018 celebrations, held at Tokyo Joypolis. 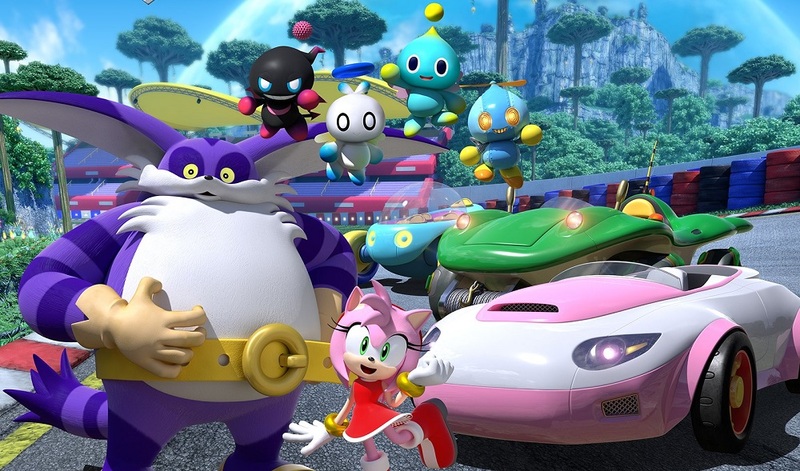 Cutie-pie Amy Rose, dead-eyed Big the Cat and Four Chao (driving as one terrifying hive mind) will join the starting grid alongside previously announced characters Tails, Shadow, Knuckles, Omega, Rouge and the blue blur himself, Sonic. The character select screen still shows six remaining slots to be filled. Team Sonic Racing, which was the worst kept secret forever before being officially announced earlier this year, is the latest in a series of racing games featuring the Sega mascot. Our own Jordan Devore got to play a build of the game at E3, which you can read about right here. You can check out some new footage of the game in the VOD below at 52:00. Team Sonic Racing is scheduled for release on PS4, Xbox One, PC and Switch this Winter.